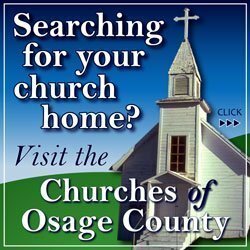 To offer another convenient way for readers to get their local news, Osage County News has available an e-edition of daily postings on www.osagecountyonline.com. With the e-edition, a summary of the day’s stories will arrive in subscribers’ email inbox. It’s easy to sign up, just click on this link and enter your email address and the security code provided. A confirmation email will arrive in your inbox with a link to confirm your subscription. The daily e-edition comes with links to the day’s stories, along with an excerpt of all of the articles posted during the preceding 24 hours. If no stories were posted during the preceding 24 hours, the e-edition will not be sent. As usual with Osage County News, there is no cost to subscribe to the e-edition. Subscribers can cancel their daily subscription at any time. 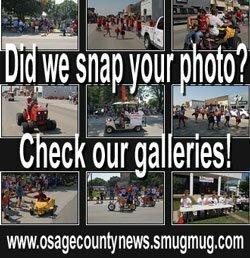 To sign up for Osage County News e-edition, click here. In addition to the website and the e-edition, readers can also get their news through OCN’s RSS feed. All of your local news is always free at Osage County News. 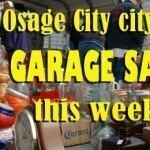 For more information about the e-edition, contact Osage County News at [email protected] or call 785-828-4994.